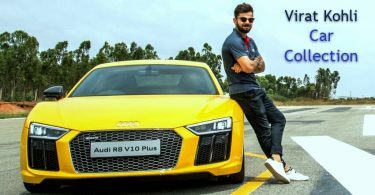 PET bottles have a 70% recycle rate in India, for good reason :- What do the Indian cricket team uniforms, made by Nike, have in common with blankets distributed on Emirates airlines? Not much, you could say. There seems to be no apparent connection, on the face of it. But a connection there is, and it binds them with a common thread. Quite literally. The uniforms and blankets are both made with recycled PET bottles. They share the same lineage, so to speak. But, before I go on to explain why PET bottles are ideal for recycling, let me give you a quick definition of PET. For those who know what PET is, bear with me just a little. 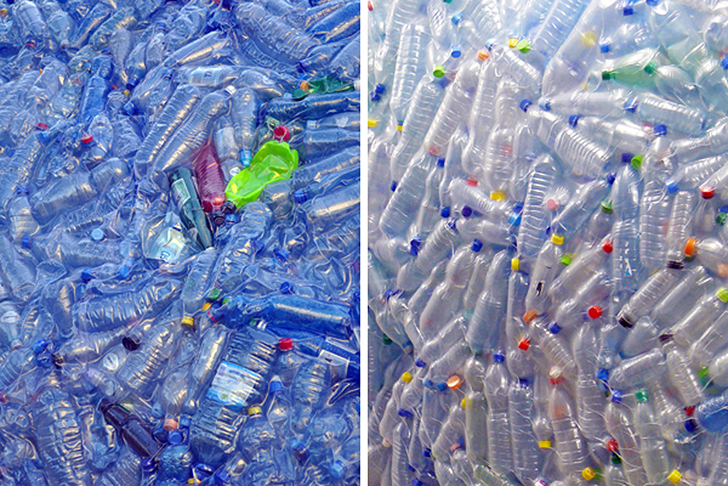 PET, which stands for polyethylene terephthalate, is a common form of plastic. To be more precise, it is a kind of polyester – which is the same basic material that is used to make polyester fabric (chances are that the clothes you are wearing as you read this, have polyester in them). Polyethylene terephthalate is a polymer that is formed by combining two monomers called modified ‘ethylene glycol’ and ‘purified terephthalic acid’ through a chemical process called ‘polymerisation’ in presence of a catalyst ‘antimony trioxide’. It is a process, of joining together a large number of small molecules to make a smaller number of very large molecules. The reactants (ie the small molecules from which the polymer is constructed) are called monomers and products of the polymerisation process are called polymers. This is then moulded into different shapes of PET bottles and containers used for packing of various consumer packs of food, beverages, and personal care etc. The above, of course, is the simple definition. While the word ‘terephthalate’ appears in its name, PET does not use phthalates and has nothing in common. Phthalates are used as plasticisers, or what are commonly called solvents, for making flexible articles, such as medical tubing, cables, toys, and the like. Phthalates are neither added nor generated in manufacturing and processing of PET material. The material is extensively used in packing of consumer products and it has been subjected to large number studies and tests on the ongoing basis by raw material suppliers, processors, brand owners, technology suppliers, NGOs, World Health Organization and government regulators to establish its health and environmental aspects. It is established beyond doubt that PET is one of the best materials for such use without any health or environment issues. What makes PET great for recycling? Highly inert nature of PET makes it safe and non-toxic – all of which makes it extremely suitable for recycling. This is the reason; PET is the most widely recycled plastic in the world. Also, PET bottles can be recycled repeatedly without fear of any significant deterioration of the quality for use in the production of fibers, monofilament, sheet, mattresses, car parts and many such applications. It is technically feasible to recycle post-consumer PET bottles used for beverages into granules suitable for production of PET bottles again for use in packaging of beverages. It is not allowed in India as yet to use post-consumer PET bottles for recycling into bottles again. Countries like US, Germany, Japan etc allow use of such recycled material for packaging of food products and beverage. The process, machinery and location producing such recyclable material need approval from regulator. Still, the largest percentages of recovered post-consumer PET bottles are recycled into fibre production due to economics and demand especially from Asian countries. So, how exactly is PET recycled? A ragpicker picking items from a pile of garbage. The next time you see one, look closely. You will see that he is picking, amongst other items, all the PET bottles he can find. The reason why he is doing this is simple – PET bottles fetch him more money – about Rs 14-15 per kg of PET bottles – for lesser effort (far easier to pick out PET bottles than chocolate wrappers). The reason they fetch more money is because of their exceptional recyclable qualities. If you think about it, the fact that the rag picker understands the worth of PET bottles is a great ground-level validation of the product. In the recycling story of PET, there are four main acts, with four essential protagonists. Act one begins with the waste collectors or ragpickers. They collect PET bottles from places like railway stations, airports, restaurants, hotels, kiosks, parks, and of course, from piles of garbage. Once collected, the bottles are sold to kabadiwallas for around Rs 14-15 a kg – a fair amount for the ragpickers. The recycling story, however, has just begun. Act two begins with the kabadiwallas, most of whom receive mixed-plastic waste from different sources. The first thing they need to do is to sort the different kinds of plastics and separate them (different kinds are sold to different traders). 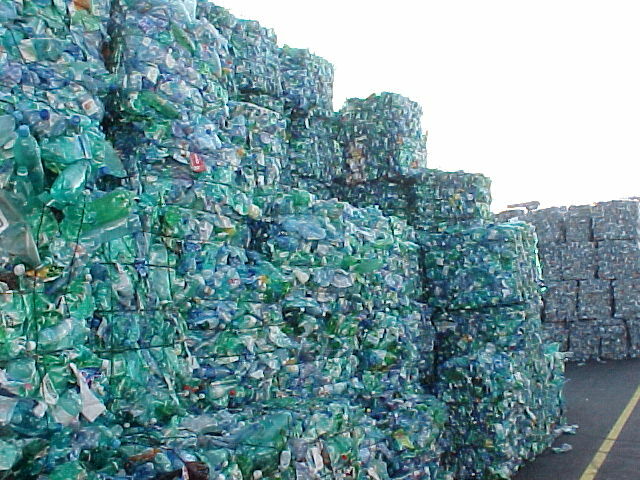 When that is done, they make bundles of the PET bottles and pile them up separately. These are then sold further to PET traders, for about Rs 25 a kg. Again, this number adds up to forming a large part of their income. Act two ends here. Which leads to the third and crucial act. It is the middle arc in the recycling narrative, where the traders enter the scene. A fair amount of work is done at this stage, because this is where the first major sorting takes place, which is an important step in PET recycling. The traders receive anywhere between a few hundred kilograms to a few tons of PET bottles a day. These are first inspected manually, to insure that they are all PET. Then, even within the PET bottles, further segregation is needed. This is because each PET bottle has various types of plastic on it – while the bottle itself is made of PET, the caps and labels are not, and thus need to be removed. Also, the coloured PET bottles cannot be mixed with the clear ones, so they are separated as well. Once this is done, the bottles are put into baling machines – large crushing machines which press the bottles together – and made into compact bundles. The traders earn about Rs 30-31 per kg for these bales, which are loaded onto trucks sent to recycling centres for, what would be, the final act of the story. The last act opens when the trucks carrying bales of PET bottles arrive at the recyclers’ facilities. Here the sorting and cleaning process starts all over again. The process is very thorough and does not leave gaps for any slip ups, because if any other kind of plastic gets mixed with PET, it causes problems downstream in the recycling process. Once the bottles are checked for any caps of other kinds of plastic, through both manual as well as mechanical systems, they are painstakingly cleaned. The bottles are then shredded and made into flakes. These flakes are, in turn, subjected to further washing and drying, after which they are shipped to the manufacturing units. That concludes the final act. There is an epilogue, of course, before the story can finally be put to rest. The flakes are turned into yarn, which is then used to make fabric or other materials. The first four acts, however, each play a significant role in the success of the epilogue. The blankets on Emirates Airlines or the uniform of the Indian cricket team tell a great story – of thousands of people working together, mobilising resources, across the country to collect, sort, segregate, and recycle billions and billions of PET bottles every year. Each protagonist plays a pivotal role to make this happen, without whom the chain would collapse. The fact that there is a 70 percent recycling rate of PET in the organised sector alone is a testimony to the extensiveness of the PET recycling industry in India. So, the next time you wear a shirt or a jacket think about where it came from, and the thousands of people who played a part it is bringing to you. Also, the next time you drink from a PET bottle, try and put it in a recycle bin – you’ll make someone’s job easier.